Genetic diseases such as thalassemia, DMD, hemophilia and sickle cell anemia can be devastating and when a child is diagnosed with any of these; it represents a major family tragedy. While parents will spend a lot of time, love and energy in ensuring that this child gets the best possible medical care, the niggling worry at the back of their mind always is about the possibility of the next child having the same genetic disease. In the past, we used PND (prenatal diagnosis) to determine if the fetus was normal or not. However, if the fetus was abnormal, parents would be compelled to terminate the pregnancy- an idea that is quite abhorrent to many couples. 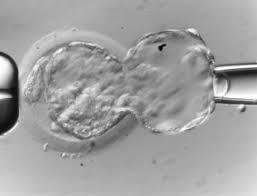 Today, things have changed- thanks to advances in IVF and genetics, PGD ( Preimplantation Genetic Diagnosis) is a very valuable technique that can help prevent genetic diseases. It can be quite a complicated process and a lot of fog surrounds the details. This is true for a number of reasons.